First of all, I would like to support the assessments of main outcomes of the SCO’s activity for over the past period enunciated by the heads of delegations. During 15 years since establishment, the Shanghai Cooperation Organization has rightfully secured a commendable place in the ranks of high-profile and influential international organizations. It became an efficient factor of sustainable development, strengthening peace, countering the modern challenges and threats, ensuring the security and stability on the regional and global levels. For over the past years the enormous work on its scale was accomplished to form the treaty and legal basis, the solid institutional base was established to ensure comprehensive and equal cooperation among the states which are members of the organization. Along with this, we realize and comprehend how rapidly is changing the surrounding world, the confrontation and conflicts, uncertainty and unpredictability in the world markets grow, and what does arise a special alarm – the international terrorism, extremism and creeping expansion of radicalism are acquiring yet more dangerous scales. To enormous regret, in the unfolding international situation, instead of consolidating mutual trust and cooperation, the confrontation and competition are growing. It is impossible not to see and not to notice this trend. First. In the given complex conditions it is of an utmost importance to preserve and much strengthen our commitment to the principles of openness and non-bloc nature of the SCO stipulated in the Charter and other fundamental documents of the association. It is necessary in henceforth to rule out, prevent the ideology-driven and confrontational approaches to resolving the emerging regional and international problems. Second. The course we have taken to large-scale expansion of the composition of the SCO member-states, symbolized by the start of the process of joining of India and Pakistan, without any doubt, means that the SCO secures a new horizon and enters a new, yet more complex stage of its activity. All of us unambiguously understand that complexities and difficulties shall arise, in the first place, in achieving consensus in adopting decisions on the main issues of agenda for our organization, taking into consideration various and at times diametrically opposite approaches of certain states to urgent issues of international and regional development. But possible difficulties and problems, emerging along the road, must in no way mean denial of the principle of consensus, which has been enshrined in the Charter and Rules of Procedure of the SCO.The rigorous observance of this principle, which has justified itself in practice, will allow to rule out the emergence of controversies and discords, which may negatively affect the efficiency of our Organization’s activity, and lead to its fragmentation and fragmentation, and forming the «interest-based groups». Third. I would like to briefly dwell on the state of affairs in neighboring Afghanistan. The military-political situation unfolding here can be characterized as low-grade confrontation of confronting parties and given further continuation of which there is a serious and real danger of overflow of instability into the neighboring countries and regions. The absolute majority of those, who are interested in tackling the Afghan problem, realize that there is only one way out, i.e. these are the peaceful political negotiations among major confronting parties under auspices of the United Nations. It is important to resume the negotiation process between the government and confronting forces, such as «Taliban». Along with this, the parties must not associate the very fact of start of the negotiation process with any preliminary conditions. Without any doubt the donor countries and international institutions must confirm their commitments in terms of rendering assistance to Afghanistan aimed at true recovery of social and economic state in the country and living standards of the population, and what is most important, - into the sphere of education and enlightenment. 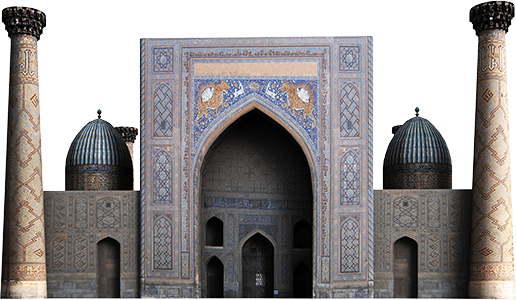 Uzbekistan, guided by the principle of bilateral cooperation with Afghanistan, makes its own contribution to construction of communications, including the construction of the only railway line in the country which connects the external world with Afghanistan – Termez-Mazari-Sharif, and ensures supplies of electric power, including to the city of Kabul. Further expansion and deepening of economic cooperation stand as one of the key conditions of achieving the program goals and tasks of the Organization. Our common task in this direction must become the implementation of priority and well-grounded economic and infrastructure projects in the region, which meet the interests of all states, and firstly, development of cooperation in the sphere of transport communications. 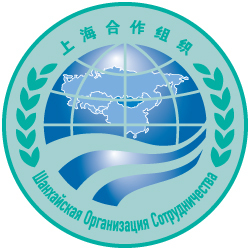 In this regard, Uzbekistan supports the initiative put forward by the President of the PRC Xi Jinping in terms of establishment of the «Economic belt of the Silk Road». I would like to underscore that its successful realization is possible exclusively on the basis of common and mutual interests of all involved countries. In conclusion, I would like to express confidence that the substantial exchange of views and joint productive work will promote further deepening of the good-neighborly, friendly and partnership relations, as well as consolidation of the atmosphere of mutual respect, development of constructive and trustworthy dialogue between our countries.